civilian talents to achieve our mission and safeguard our freedoms. Department of the Navy provides competitive salaries, comprehensive benefits, and extensive professional development and training. From pipefitters to accountants, scientists to engineers, doctors to nurses-the careers and opportunities to make a difference are endless. You will serve as a PLUMBER in the PUBLIC WORKS DIVISION of NAVFAC SOUTHWEST. You will install, modify, and repair new and existing utility, supply, and disposal systems and equipment such as sewage, water, oil, and gas distribution systems. You will work from building plans, blueprints, and sketches to lay out the routing, placement, slant, slope, fall, and proper operation of systems and equipment. You will use tools and equipment such as plumb bobs, mercury gauges, dividers, closet augers, hydrostatic pumps, and lead pots. You will determine and install valves, traps, and unions needed for the proper operation of systems. You will be required to obtain and maintain a current valid United States driver’s license. You will be required to successfully complete a pre-appointment physical examination and annually thereafter. You may be required to lift, carry, and set up parts and equipment that weigh up to 40 pounds. You may at any time be reassigned to a similar position at any site or workstation within the commuting area as a condition of employment. You must be able to wear and use all required personal protective equipment (PPE) to meet the requirements of the duties being performed. This job has a screen-out element which will be used to determine minimum eligibility for this job. Applicants who do not receive a minimum of two points on the screen-out element(s) will be found ineligible. The Screen-out Element for this position is: Ability to perform the work of a Plumber WG-4206-09 without more than normal supervision as demonstrated by installing, modifying, and repairing plumbing systems. (eg., sewage, water, oil, air, and gas distribution systems, water closets, tubs, backflow, prevention devices/assemblies, fire sprinkler systems, and showers), determining equipment, tools, and parts needed for plumbing repair work; reviewing blueprints, building plans, or specifications to determine plumbing work details or procedures. This position may be considered Essential and you will be required to report for duty or held in a duty status to provide support before, during and/or after special emergency situations, such as, but not limited to, destructive weather (including snow removal), disasters, or periods of increased security threat. You may be required to serve on-call duty on a rotational basis. When on call, you are required to carry a duty cell phone and duty pager and must remain available to respond on site to after-hour emergencies within two hours. You may be assigned to perform tasks in non-trade related fields as an assistant/helper as workload requires. Work involves making repairs and installations from ladders, scaffolding, and platforms, and where the parts of systems worked on may be in hard-to-reach places. This requires standing, stooping, bending, kneeling, climbing, and working in tiring and uncomfortable positions. Work is done inside and outside, and is usually dirty, dusty, and greasy. You may be required to make repairs and installations outside in bad weather. You may occasionally make repairs in areas where bad smelling fumes are present. You may occasionally be exposed to the possibility of broken bones and/or scrapes, burns, and infections. Recruitment incentives may or may not be authorized to eligible new hires. Relocation incentives may or may not be authorized. Your complete application (resume, assessment questionnaire, and all supporting documents) must be received by 11:59 pm Eastern Standard Time (EST) on 01/11/2019. Applications received after 01/11/2019 may result in an ineligible rating and loss of consideration. If more than one resume is received, only the last resume received and processed will be reviewed. 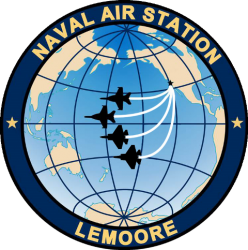 We, the Public Works team at Lemoore Naval Air Station are committed to fully utilizing our combined efforts, resources and expertise to support our customers. We will continuously strive to surpass our customers' requirements and expectations. Our loyalty, dedication and professionalism will be solely for our customers' well being. The completion of a project will be the beginning of a new phase of our dedication to our customers.